Your workforce and your customers need to be able to interact and collaborate wherever they are, with the ease and convenience of a natural meeting experience. 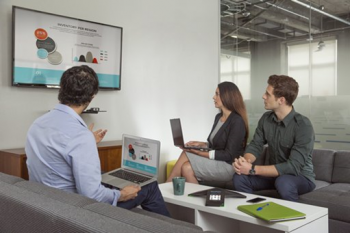 With the Polycom RealPresence Clariti Collaboration infrastructure software, everyone can see each other and share ideas, no matter what technology or device they are using. RealPresence Clariti includes web clients, mobile apps and desktop clients that seamlessly connect to team solutions in the meeting room and huddle space, and even immersive telepresence suites. Designed to meet your specific needs, Polycom RealPresence Clariti is the backbone to powerful collaboration, with scalable resources, virtual meeting rooms, scheduling and calendaring, document and whiteboarding, recording and streaming and reporting tools, all delivered in a model that suits your business; on-premise, cloud, managed cloud, hardware, software and subscription or one off pricing models. So what’s included in RealPresence Clariti? Whether you want to improve communications across your teams, increase productivity and efficiency, build better workflows or enhance corporate teams, Polycom RealPresence Clariti lets you unleash the power of human collaboration with a simple, powerful, and cloud-ready solution. Polycom RealPresence Clariti offers proven capabilities to ensure any business, any workspace and any device can connect and collaborate. RealPresence Clariti enables you to collaborate with teams wherever they are located – scale up to 375,000 VMR’s and support for up to 75,000 devices, with a hybrid “burst” capability meaning you’ll never be held back if you reach your subscription limit. RealPresence Clariti offers high quality reporting and analytics that delivers intelligence to help you plan, monitor and manage your video conferencing and collaboration deployment. With a simple click-to-call environment, Polycom RealPresence Clariti means you can video conferencing with anyone at a moments notice, without losing critical time in setting up meetings or aligning calendars. Connect anyone to anyone – Polycom RealPresence Clariti doesn’t limit you to just your organisation. Take to anyone – partners, customers, clients and remote colleagues – and make joining meetings simple for guests from any device. Whether deployed in the cloud or on your premises, organisations worldwide can count on an excellent combination of user experience and ease of management. In addition, Polycom’s hybrid cloud service provides seamless management of spikes in demand with additional capacity whenever needed. Polycom RealPresence Clariti is simple to purchase and roll-out, with a single pricing model based upon the number of concurrent users. You choose how many people you want to enable, with the ability to add more at any time, then choose whether you’d like to make this a subscription – OpEx recurring – or perpetual – CapEx one-off. And however you want to roll it out – whether public cloud, private cloud or on-premise – we can streamline installation and deployment with VideoCentric’s team of expert installers to get you and your teams up and collaborating in no time! RealPresence Clariti offers optional “Hybrid Cloud Burst” to seamlessly manage spikes in usage demand to provide you with additional capacity whenever you need it. You only pay for this cloud bursting capacity when you use it, meaning your workflows are uninterrupted and you don’t subscribe to more than you (usually) need. Contact VideoCentric to arrange a visit to the Polycom EEC and see Polycom Collaboration in action! 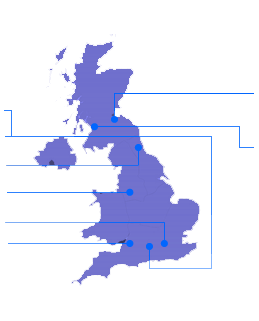 VideoCentric are fully accredited with Polycom in both Video Endpoints and Infrastructure, with the full Polycom RealPresence Infrastructure integrated into our own communications platform, alongside Cisco VCS and Cisco Spark, Microsoft Skype for Business, VideoCloud 365 and LifeSize Cloud, for testing, demonstration and long-term support. VideoCentric have also scooped top Polycom awards for extensive support and services offered to customers. Our Video Conferencing demonstration suite includes Polycom HDX and Group series endpoints, Polycom desktop video conferencing software and Polycom EagleEye cameras, integrated and available to compare against other world leading video conferencing endpoints and software. Find out more about VideoCentric and Polycom’s partnership here.